Bridget Spiegel Born in Cleveland, Ohio, Bridget Spiegel has a passion for music in all forms-teaching, performing, and pedagogy. Bridget seems to be a renesaince woman of the arts starting from a very small age. Studying violin with Lisa Burrell since the age of 10, she also expanded her abilities into the musical theatre world with her lead “Gertrude” in Seussical the Musical and participation in her high school’s Rhythm and Blue show choir. She has also performed the roles of “Mary” in Godspell, and most recently “Edith” in Pirates of Penzance. Bridget’s smaller chorus roles include Wizard of Oz, Sound of Music, Grease and playing in the pit orchestra of Cabaret, Bye Bye Birdie, and the Music Man. Her vocal talents expanded into A Capella groups with Constellation from 2008-2011, Acabellas in 2012-2014, and most currently Ardore 2014-2015.This year, Bridget will take leadership of Ardore as their Director and Senior Conductor. Bridget has participated in many summer programs including Performing Arts Institute of Wyoming Seminary and Eastern Music Festival in Greensboro, NC. Bridget began her collegiate studies at Catholic University of America in Washington DC, studying violin performance with National Philharmonic’s concertmaster Jody Gatewood. Over the last 5 years, Bridget has performed with many ensembles including the Houston Youth Symphony, CUA Symphony Orchestra, the CUA Concert Choral under the direction of Leo Nestor, the UH Concert Women’s Chorus under the direction of Jeb Mueller, and the UH Concert Chorale under direction of Betsy Weber. Bridget has had many singing opportunities including performances with the Houston Symphony, and recording a Christmas album with Zapbangboom Studios. Her love for music educating began with teaching private lessons, and directing the children’s chorus at St. Philip Presbyterian Church from 2011-2012. In 2014, Bridget then became the Children's Music Director at Grand Lakes Presbyterian Church, and most recently the Assistant Director of Music Ministries. 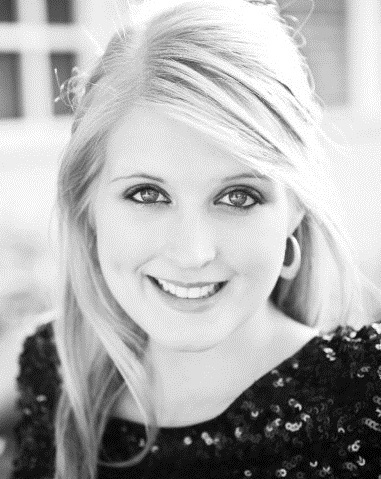 Bridget is currently a senior at University of Houston studying Vocal Music Education under Lynda Mcknight.